This is a plug and play external signal light board for the APM flight controller (2.5~2.6). It features two LEDs, a red and a blue which mimmic the indicators LEDs hardwired to the APM board for arming (red) and GPS lock (blue). The 3 wired servo connector connects to A6 for GPS Lock indication (Blue) and the single connector connects to A7 for Arm/DisArm indication. 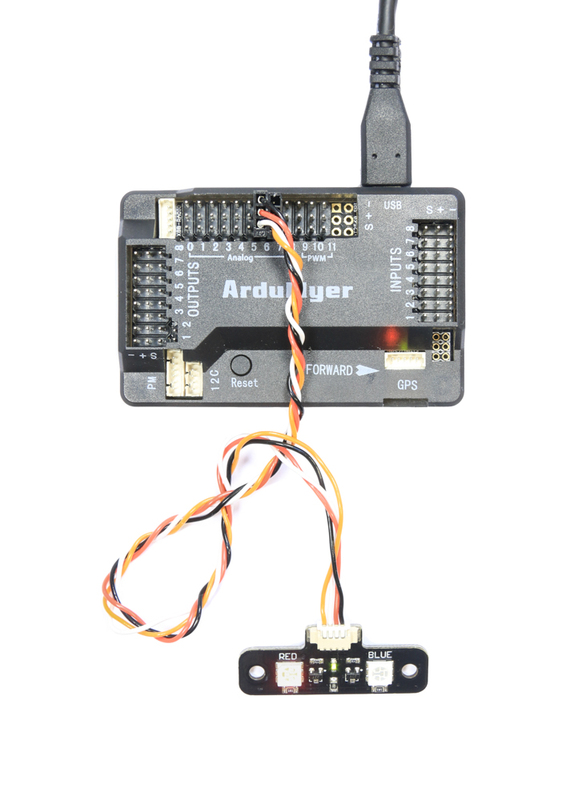 If you are running Arducopter 3.1.5 or before, you will need to activate the led output in mission planner. On 3.2.x or later its's already activated by default.